The Jerome is a beautiful addition to our mid-century modern line. Featuring a mosaic mixed-material headboard, the bed frame is sure to stand out. Like the Cottonwood and Florence bed frames, the Jerome features slightly tapered legs and a sleek profile. The bed frame is constructed entirely of sustainably harvested Alder hardwood from the Pacific Northwest. The headboard is crafted using American walnut, mahogany, alder, and maple. 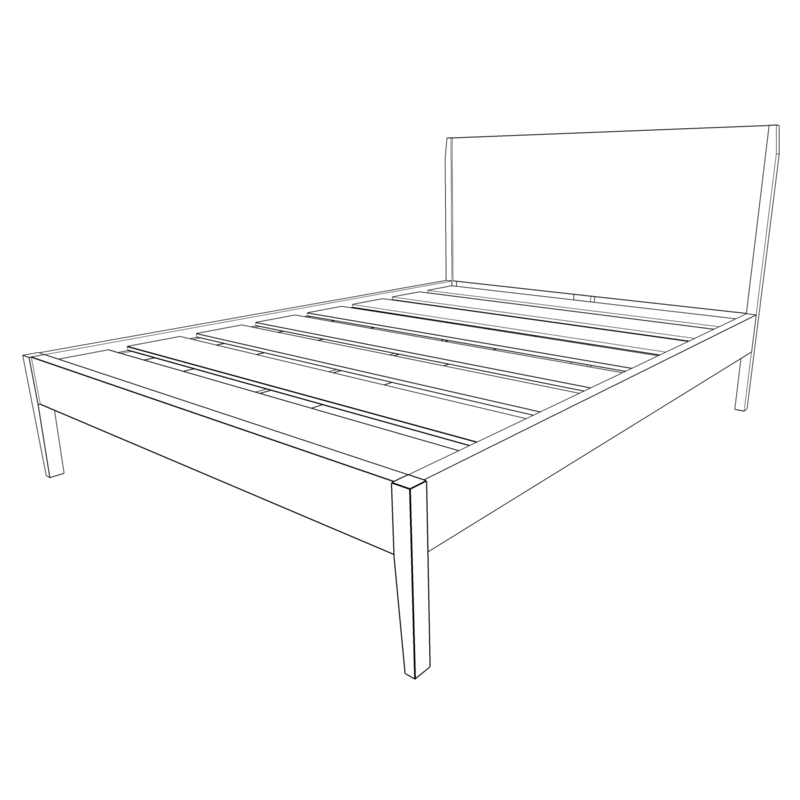 The slat-based platform is made using high-quality Baltic Birch plywood and is designed to offer maximum mattress support. 1.5" thick rails and footboard. King: 79"W x 84"L x 44"